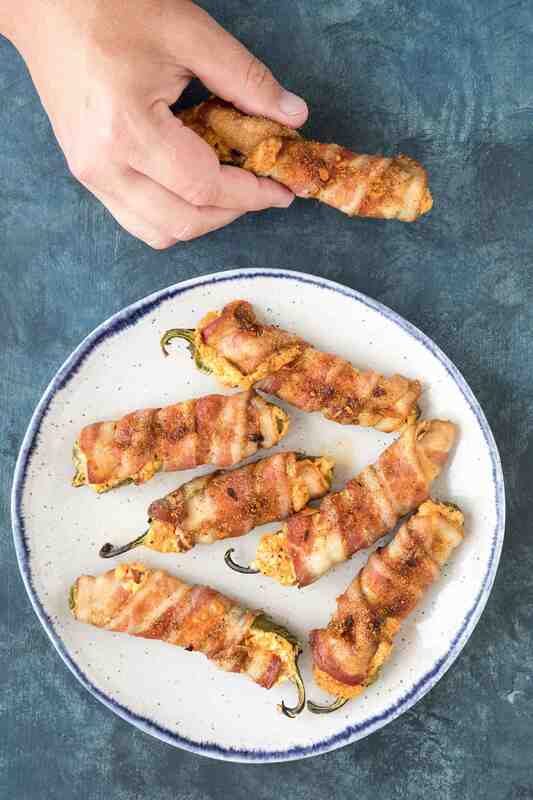 These spicy bacon wrapped jalapeno poppers are filled with melty cheese and loads of spices. They’re the perfect party appetizer recipe. Watch them disappear! Jalapeno poppers time, my friends. 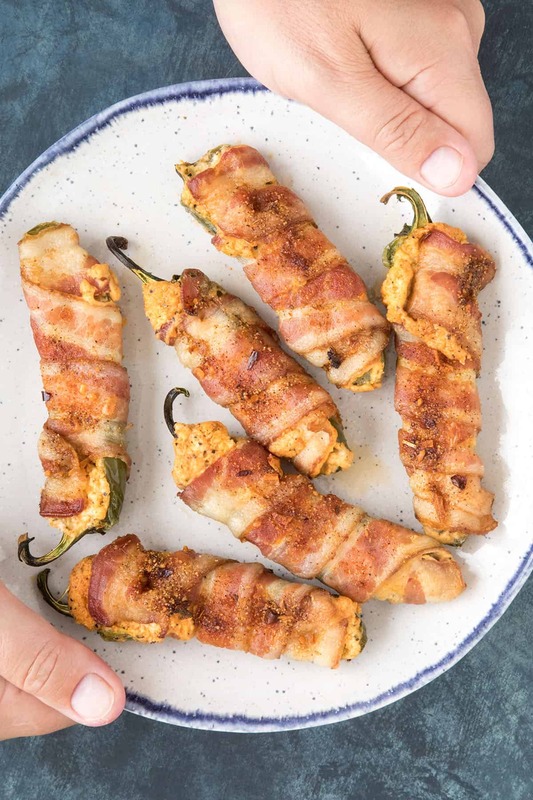 In my kitchen, it’s ALWAYS time for jalapeno poppers, especially when they’re stuffed with cheesy awesomeness and wrapped in bacon. 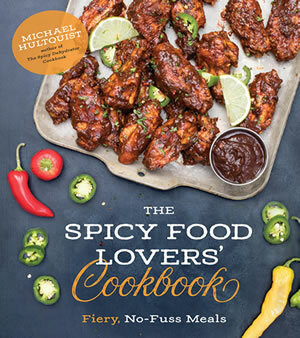 As you already know by now, I have quite the obsession with all things jalapeno and all things poppers. #MikesJalapenoObsession. 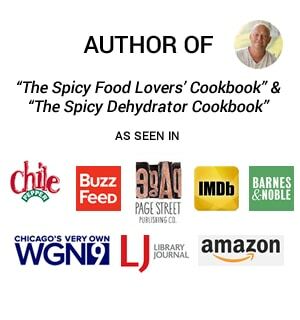 It’s been pretty well documented here, considering all of my Jalapeno Poppers Recipes on the site, and not to mention my cookbook dedicated to the subject – Jalapeno Poppers and Other Stuffed Chili Peppers, the Cookbook. They really are the perfect party appetizer, holiday gathering starter, game day table centerpiece, you name it – if there is a party of any sort, you need jalapeno poppers there to make everyone happy. Like this recipe in particular. 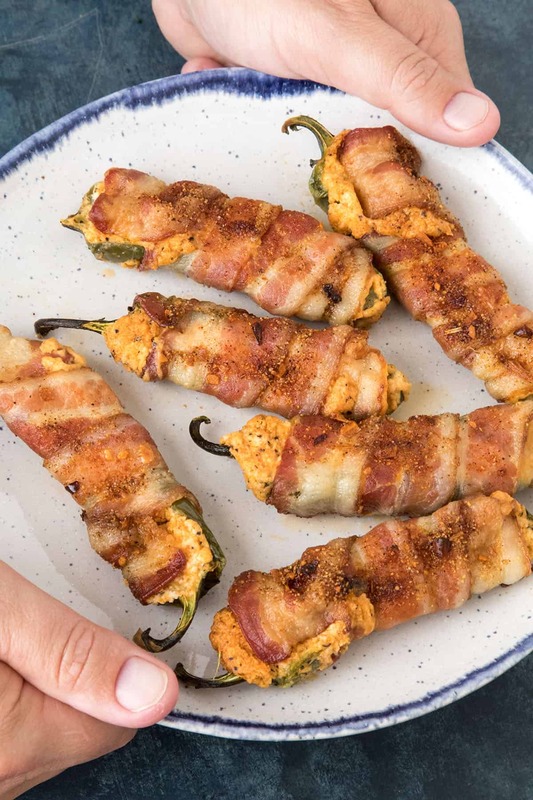 We’re talking easy, cheesy Bacon Wrapped Jalapeno Poppers and they’re every bit of fabulous as they sound. 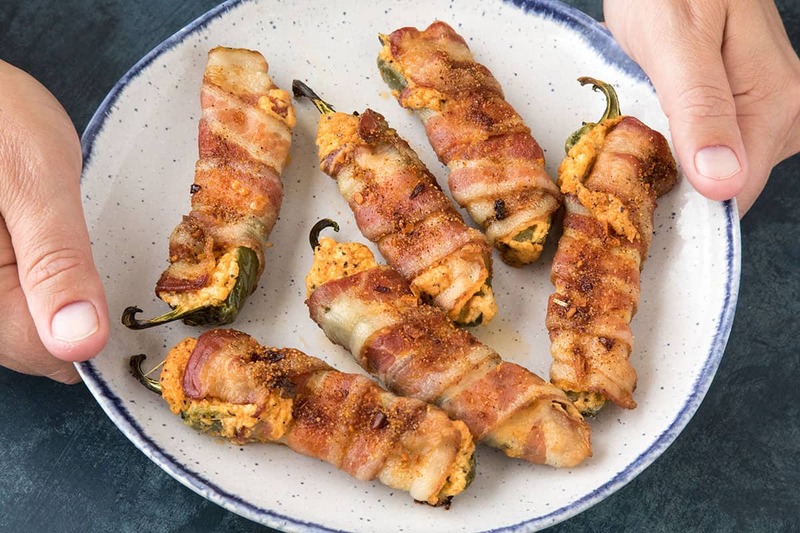 These poppers are filled with a seasoned mixture of cream cheese and cheddar cheese, all stuffed into cored out jalapeno peppers than wrapped in smoky bacon and baked to crispy perfection. Oh baby. I want to eat them all right now! The party peeps wouldn’t be very happy with me, though. 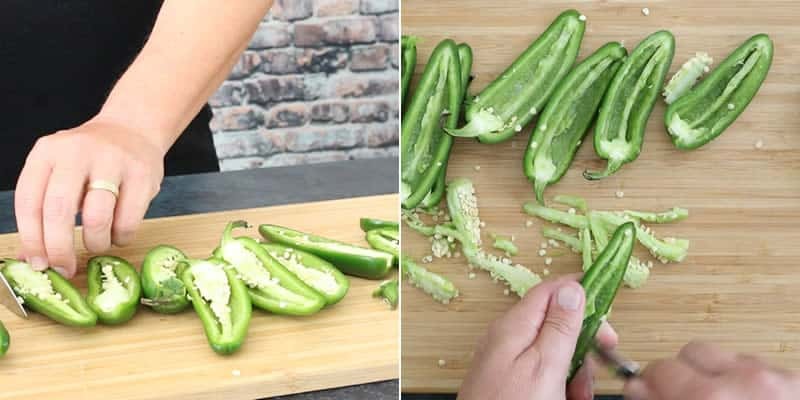 First, slice open your jalapeno peppers in half lengthwise and scoop out the insides, making them hollow enough for your stuffing. 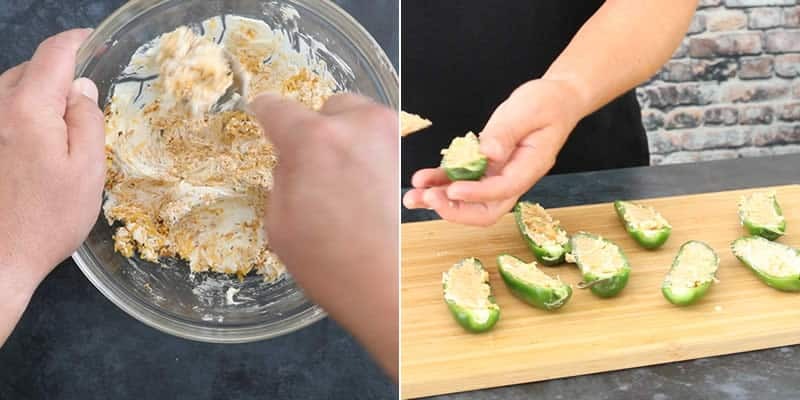 Next, mix your cream cheese, cheddar cheese and your seasoning mixture in a bowl, then fill each jalapeno pepper half with the spicy cheese mixture. NOTE: Most of the jalapeno heat is in the cored out whitish innards, so if you’d like spicier jalapeno poppers, chop it up and mix it in with your cheese mixture. Next, wrap each stuffed jalapeno boat with a slice of bacon. Pierce with toothpicks to hold the bacon in place for baking. Sprinkle the poppers with extra chili powder and bake them about 20-30 minutes, or until the peppers soften and the bacon is starting to crisp. You can blast them with the broiler a couple of minutes at the end if you need to in order to get them as crispy as you’d like. BOOM! Serve them up! It’s party time! Check out my video below for a full demonstration of how to make bacon wrapped jalapeno poppers. Sometimes the bacon can shrink up and partially fall off of the poppers, or they can get a bit soggy underneath. The key to achieving properly wrapped bacon is to use a large enough piece of bacon that wraps around properly. Note that the bacon will shrink up during cooking, so ensure a good wrap. If you fear the bacon will shrink up too much, use toothpicks to hold them in place. I’ve found, though, that the bacon holds together very nicely, but use your best judgement. As mentioned, most of the jalapeno heat is in the cored out whitish innards, so if you’d like spicier jalapeno poppers, chop it up and mix it in with your cheese mixture. Also, you can conserve on bacon by slicing them in half and then wrapping the stuffed jalapenos. They’re still super tasty this way, though I prefer a lot of bacon in each bite. The choice is yours. 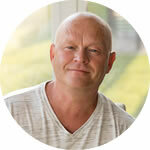 For the seasoning mixture, I used simple chili powder with garlic, salt and pepper, but try using a taco seasoning blend or a Cajun seasoning blend for flavor variations. 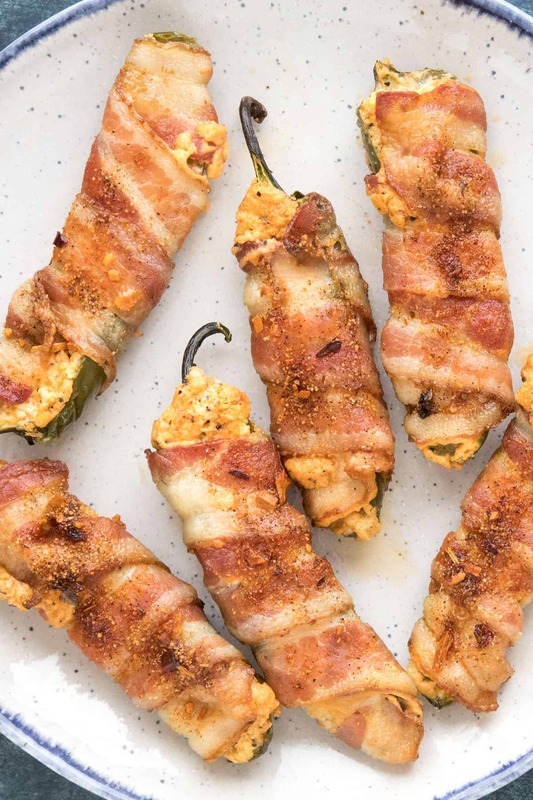 The beauty of bacon wrapped jalapeno poppers is – you can stuff them with pretty much anything you want! YES! I chose a mixture of seasoned cream cheese and cheddar cheese, but you can try other ingredients, such as cooked chorizo, shredded chicken, pulled pork, and even chopped shrimp. So many ideas! I love it. These spicy bacon wrapped jalapeno poppers are filled with melty cheese and loads of spices. They're the perfect party appetizer recipe. Watch them disappear! Slice the jalapeno peppers in half lengthwise and scoop out the insides with a spoon. Add the cream cheese, cheddar cheese and seasonings to a bowl and mix well. Fill each jalapeno pepper half with the spicy cheese mixture. 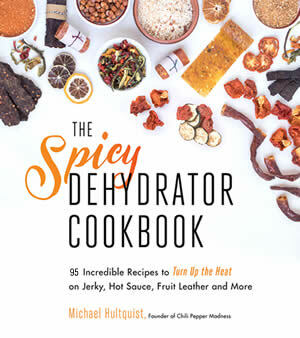 You might have some leftover, depending on the size of your peppers. Just distribute evenly. Wrap each stuffed jalapeno boat with a slice of bacon. Pierce with toothpicks to hold the bacon in place. 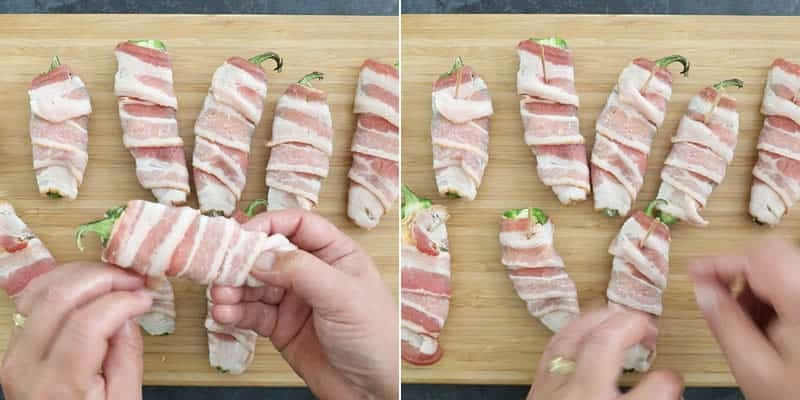 Sprinkle them with extra chili powder and bake the jalapeno poppers about 20-30 minutes, or until the peppers soften and the bacon is starting to crisp. You can blast them with the broiler a couple of minutes at the end if you need to. 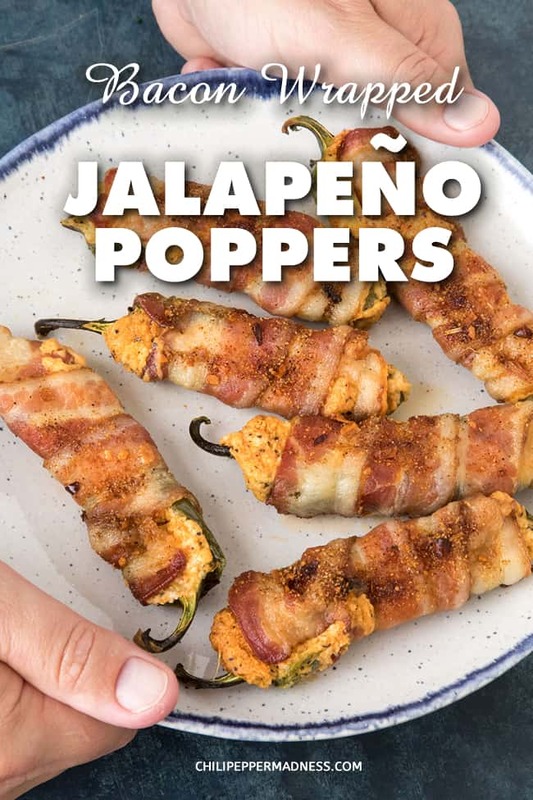 Makes 16 bacon wrapped jalapeno poppers. I will make these for Sunday..with the bean dip and popper dip. A classic! Everybody loves jalapeño poppers! I like the garlic ouch of your recipe very much! I used French cheese instead of cheddar: Raclette. Thanks for this Mike! I’d love to try this with Raclette. Sounds like a nice touch! Great recipe and total BONUS for me was this is KETO!! Stumbled onto your website looking up pepper information and ran into this and had to try it tonight. Super easy to make, didn’t even have toothpicks and they held up fine. Instead of 350, I’d used the convection setting @325. Liked the broiling idea at the end to finish them. Cheers! Excellent, Darren. Thanks! Glad you enjoyed it.